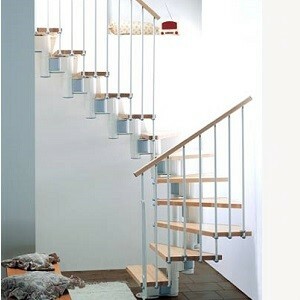 Open and light modern staircase with spine support and timber treads. 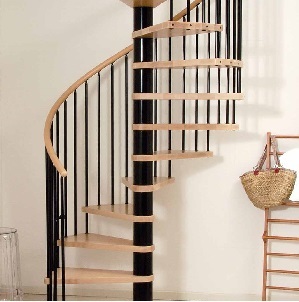 Open and light spiral staircase from our bespoke range. Ultra modern and transparent spiral staircase from our bespoke range. 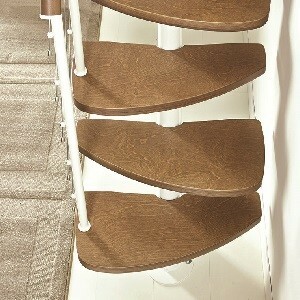 We supply kit staircases across the UK. 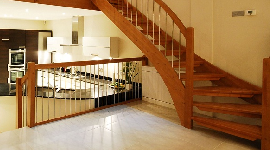 Based in Romsey, Hampshire, the staircase kits we offer are designed and constructed by the Italian firm FONTANOT. The kit staircases are created in light and open styles and will create a real wow factor within a home. Each model is supplied with full instructions for self-assembly and are supplied throughout the UK. There are many spiral staircase kits and straight configurations available in kit form, readily available to be delivered swiftly. A number of customisation options exist to help you get the idea kit stair for you. 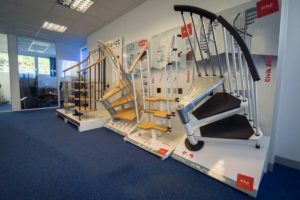 We have a staircase showroom at our HQ in Romsey with many of the kit staircases displayed. Please get in touch to discuss a visit or to request a quotation.